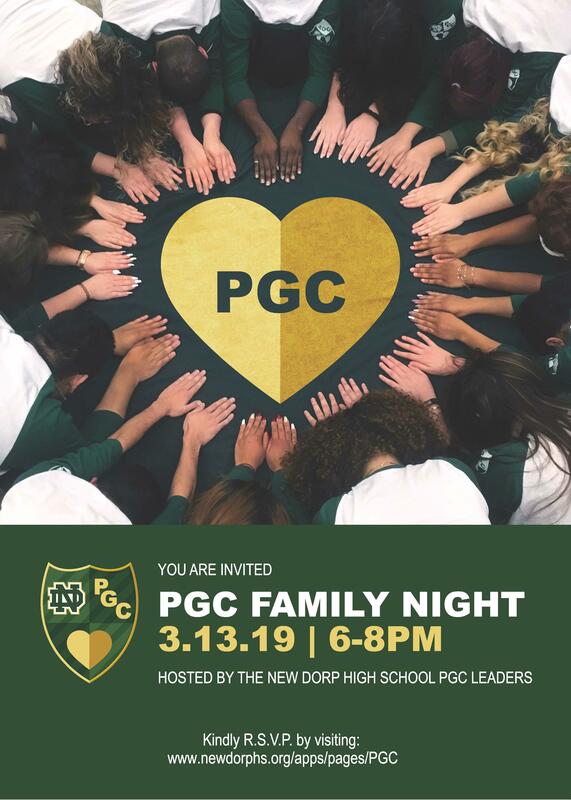 Join us for our annual PGC Family Night! PGC (Peer Group Connections) is a program for freshmen that supports their transition to our school by having them meet weekly in groups with trained high school juniors and seniors who serve as their mentors. The theme of Family Night is engaging in a different kind of parent/teen communication. Learn from PGC high school students what it is like to be a student today and share with them what it is like to be the parent or guardian of a young person attending high school. In the world we are living in, the need for parent teen communication has become more important than ever before. PGC is all about making New Dorp a safe, supportive, engaging and an inspiring place for all students. It will be a night that you won’t soon forget!